Have you ever wondered if a detox is right for you, or how you can incorporate it into your life? Detoxifying is a way to eliminate the pollutants that our bodies are exposed to daily. Through food (consuming healthy ones and eliminating unhealthy ones), drink (taking in hydrating and cleansing liquids) and our skin (sweating flushes toxins out of the body), a detox is a great way to remove waste from our tissues. When we detox we also give our immune systems a good boost, increase our energy levels and help clear up our skin. A detox doesn’t have to be a full-time job, though. We’ve put together a great two-day detox guide you can follow while you go about your normal weekend routine—perfect for a newbie or seasoned veteran. Keep the momentum going with even more tips for detoxing on a daily basis. Right after waking up, start your day with this daily cleanse water recipe. It is great for boosting the immune system, helping digestion and cleansing the liver of toxins. It’s a simple and easy way to flush toxins from our bodies. And a perfect start to your weekend detox program. 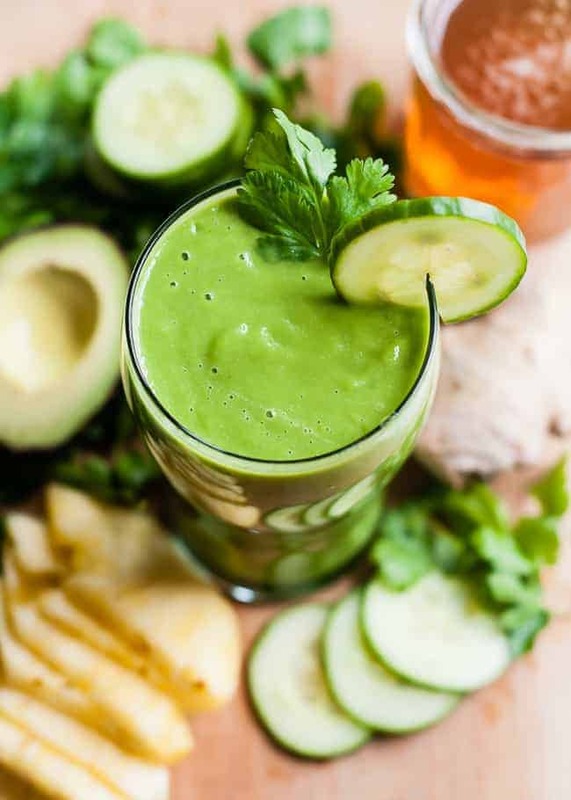 This green detox smoothie is a fantastic breakfast meal packed full of detoxifying foods like cilantro, green tea, ginger, lemon and honey. Depending on how intense you’d like to detox, you can stick to clean foods for lunch, like this raw baby kale salad with oranges and pomegranates. Time to treat your face! Give your skin a boost with this avocado facial mask, ideal for moisturizing. Add a few of these flavored ice cubes into your sparkling water for an alternative to snacking in the afternoon. The combination of green tea and ginger helps with weight loss, lowering bad cholesterol and regulating body temperature and blood sugar. For dinner, you’ll want something light but satisfying. 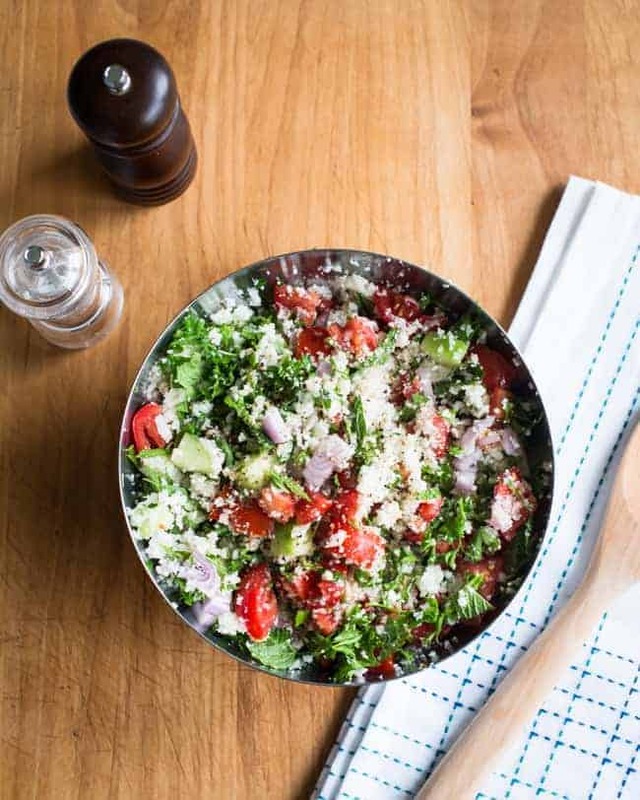 This tabbouleh salad made with cauliflower rice will fill you up, guilt-free. This detox body wrap is perfect for soothing and smoothing skin, and it’s a fantastic relaxation aid after a long day of detoxing. You’ll head to bed feeling calm and clean, ready to start day 2 in the morning. Occasionally you will experience a mild headache depending on the intensity of your detox. Don’t be alarmed—flushing toxins is hard work for the body. This pear and spinach juice is the perfect solution when you awake the morning. Ginger is a wonderful detoxifying herb which stimulates cleansing through digestion, sweating and circulation. For a little more substance mid-morning, give this aloe smoothie a try. It’s great for clearing the digestive tract and lowering blood sugar. 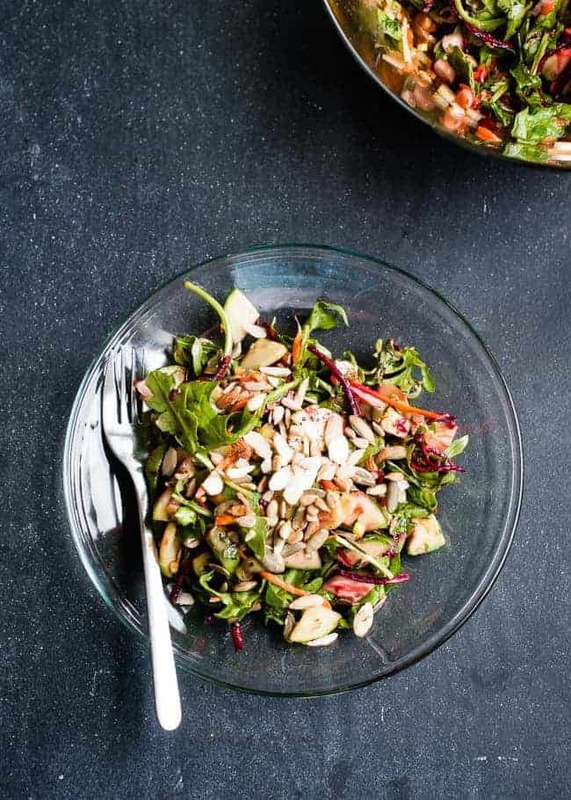 You can prepare this yummy, vitamin-rich salad (packed with beets, avocado, sunflower seeds, almonds and pumpkin seeds) for lunch along with the accompanying detox dressing, which is high in healthy fats. A light workout is always helpful when doing a detox, but be sure you don’t overdo it. Sweating is great for cleansing, but you never want to lose too much fluid, so drink, drink, drink. You will love this hydrating watermelon smoothie post-workout to replenish. 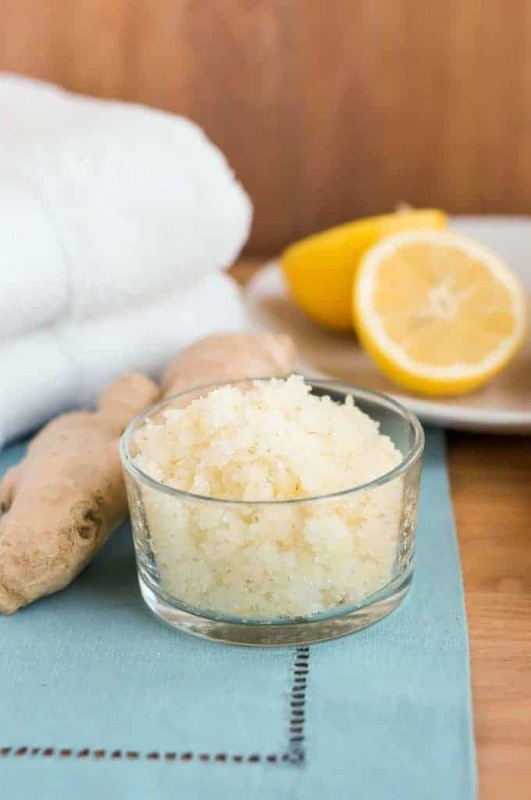 This ginger scrub and bath soak is the perfect combination for a little pick-me-up in the afternoon. It’ll calm your nerves, help with headaches and increase circulation. You will be left feeling energized and centered. Finish your weekend with one final detox meal, grilled cauliflower steaks with chimichurri. If you normally eat meat and dairy, you’ll want to slowly reintroduce them to your diet over the next few days. Take it slow so as not to shock your body. If you find yourself hungry or sluggish throughout the day, check out this guide to seeds. They are energy-packed, nutrient-dense and full of fiber. A perfect alternative to the snacks in your cupboard. Be sure you are staying hydrated all throughout the day. 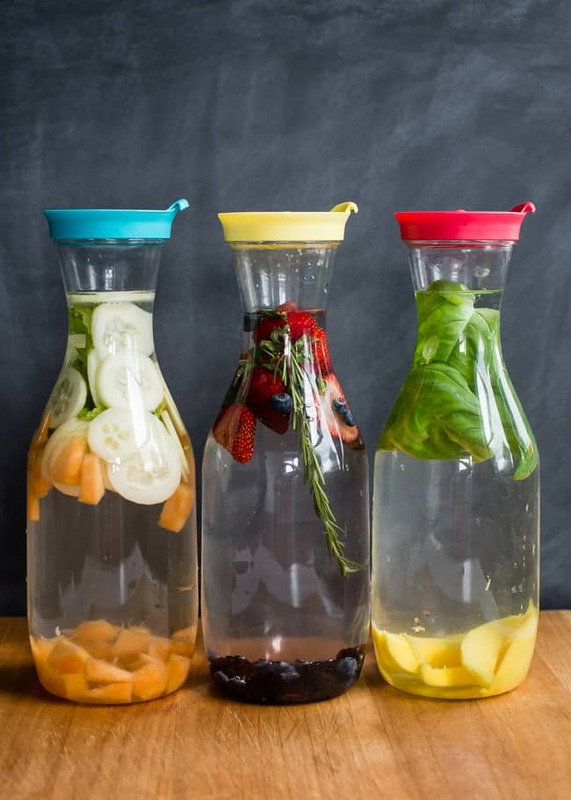 These infused waters are great for giving our normal H2O a little boost of flavor. Your body needs time to restore itself, and detoxing is hard work. Make sure to get plenty of sleep and take it easy. So, I would like to do this 2-day detox , but maybe i didn’t understand but there is no lunch for the afternoon right? Because when I read it there is breakfast and dinner but no lunch. Is it normal or..? I don’t think many ppl would be able to find an excuse to not do a 2 day cleanse! I think if I did this I would make different salads…like if there was organic meat in them, it’d still be detoxing right, so I would do that. I love this site and find it very useful however, when I want to try something, I have to print out the current information and then go back and click on several other places in order to get all the information. For example, the 2 day detox. It would be very helpful if the information for everything needed would be included on the same page(s) and not take so long to go back and forth clicking on other sites. The above comment is right. One page, please. I would never do this for one very glaring reason. The blogger is not a doctor or nutritionist or dietitian. All the topical ideas are fine but you are virtually starving yourself and that is never healthy. Plus she tells you to rest and sleep yet do a workout. Bottom line… She’s not qualified. Just customize this for you. As long as you don’t eat processed foods I think your body would still see this as a really good cleanse…I know this comment is old, but you can still just make your own rules. Thanks Deanna! I’ve updated the links – not sure why they stopped working but thank you for letting me know! Fantastic! Let us know how you feel at weekend’s end!